Bouchard Finlayson’s Galpin Peak Pinot Noir 2015 has scored a 5-star rating from Platter’s by Diners Club South African Wine Guide. Debuting in 1980, Platter’s is South Africa’s first and still leading wine annual with information on over 8000 locally produced wines. The 2015 Galpin Peak was one of only four Pinot noirs to receive the coveted 5-star rating this year. Earlier this year the same vintage received international recognition when it won a gold medal and a regional trophy in the 2017 International Wine Challenge in the UK. Under the leadership of Peter Finlayson, the founder and cellar master of Bouchard Finlayson, the estate has been a pioneer in the production of Pinot noir in the South African market over the past 27 years (since 1991). 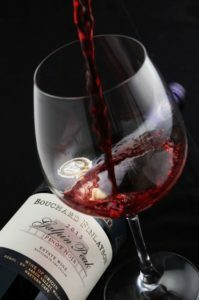 Winemaker Chris Albrecht, who has celebrated seven vintages at Bouchard Finlayson, says the cultivar is quite unique as it depicts little varietal character of its own, rather expressing the terroir upon which it is grown. ‘Pinot noir carries the crown of being the most terroir-expressive of all grape varieties. We are fortunate in that the Hemel-en-Aarde Valley represents that unique combination of soil and climate that exists in only a handful of places where the exact balance provides the perfect expression of this elusive grape’, he said. 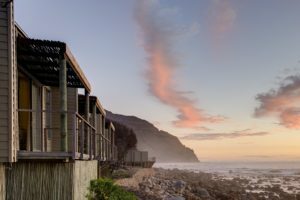 Tintswalo Atlantic has introduced a range of wedding and honeymoon packages to ensure the most magical of celebrations at the unique Atlantic Ocean location within Table Mountain National Park. Options are available to suit all preferences, ranging from an intimate wedding and overnight stay for the bridal couple only (‘Just the Two of Us Package’ at R18 840 for two people staying overnight); to the ‘Intimate Wedding Package’ at R64 840 for up to 18 wedding guests including four people staying overnight. Stylish brunch, lunch or dinner receptions can be arranged for up to 100 guests; and cocktail parties for up to 120 guests; while a magnificent ‘Destination Wedding’ can be arranged hosting 24 in-house guests on an exclusive-use basis over four nights. Hugely popular as honeymoon destination, Tintswalo Atlantic also offers a special 4-night Honeymoon Package that features the ultimate spoils, including breakfast in bed or a champagne brunch, select gourmet lunches and romantic dinners, as well as a couples’ massage. Newlyweds may also enjoy a day at Llandudno beach, a guided mountain walk and sightseeing around Cape Town, with a choice of four itineraries that include a Table Mountain excursion, horse riding on Noordhoek Beach, wine tasting in the area, or a visit to the V&A Waterfront and Robben Island. A short scenic drive from Cape Town’s CBD, Tintswalo Atlantic presents a breathtaking wedding location right on the edge of the water. Hailed as one of the most romantic destinations in Southern Africa, the lodge setting between the Sentinel mountain peak and the Atlantic Ocean provides a dramatic backdrop for a wedding day or honeymoon that the bride and groom will cherish forever. The Tintswalo team works closely with top wedding coordinators and offers flexibility in the planning of weddings. To ensure the seamless organisation of the big day, all weddings are coordinated by the lodge team of passionate and knowledgeable staff. * All rates quoted are valid until 31 October 2018.